Try the Ripper WMS Black Knight Online Pokies Game Here. Black Knight is a WMS powered video pokie available online for free or real gaming action. It features 30 paylines spread over 5 reels. Since its introduction as an online slot, this game has managed to garner a decent following. Its popularity elicited the need for a sequel, Black Knight 2, which was recently released. This online slot takes you back in time to an era where kings, queens and knights ruled. It is based on Black Knight, who was believed to bring war and death and is inspired by Arthurian literature where this legend has been popularized. Game symbols are theme related in great details. On the gaming reels, you will see a King, a Queen, Maps, Black Knight, Crown, Ring, Jesters and Black Knight logo. Behind gaming reels, you will see a castle background. This is the castle you are to protect while you play Black Knight. True to its theme, this online slot is graphically dated but still it’s a nice online pokie to play free below. This is not a great online slot for high stake punters. Reason being, you can only bet a maximum of 150 coins per spin on all 30 paylines. Nonetheless, it presents players with a simple gaming interface and a simple game play. Control buttons are at the bottom of your screen. From these control buttons, you need to activate a number of paylines and set coin values. Note that you can only bet one coin per line. Hit “Spin” to set reels in motion. If you have a few coins to spare, you can enjoy this online slot; bets per line start from 0.01 up to 5.00. There is an auto-play feature that allows you to play a set number of automated games or until you hit a bonus. Black Knight gives you 94.92 payback percentage. A gamble feature becomes active after every win prompting you to choose between colors or sets of cards in a bid to double or quadruple your win. Black Knight serves as a wild in this online poker machine. This symbol stands in for other gaming symbols to complete winning combinations. 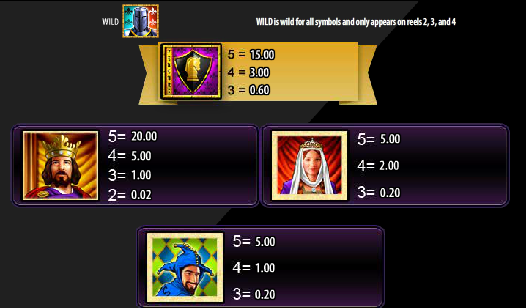 Unlike other slots, this wild substitutes even the Feature symbols, which is represented by Black Knight logo. The symbol appears only on reels 2, 3 and 4 and does not feature any other features worth mentioning. There is only one bonus offered by this game, free spins bonus round. To trigger free spins, you will need to land at least three feature symbols anywhere in view. 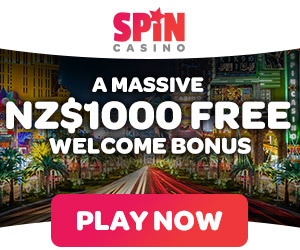 You will be rewarded with 7 free spins. If you happen to land any wilds on reels 2, 3 or 4 during bonus games, the wilds will expand to cover entire reels and also remain locked until free spins end. You are in for an enormous win if you manage to get free spins early while playing base game. Compared to other online slot games, it is correct to say Black Knight’s paytable is not well-weighted. You can win a top jackpot of 2000 coins by landing 5 king symbols an adjacent reels. 4 Kings, 5 Jesters and 5 Queens hold the second highest pay at 500 coins. Crown, Black Knight’s Ring and map among other regular symbols pay between 0.45x and 9x for landing between 3 and 5 of a kind. High value poker card symbols J through Ace pays the lowest; 0.07 coins for every three of a kind and 0.75 coins for landing five of a kind. Google + Profile: Tina Lim on January 3, 2016. on September 9, 2016.